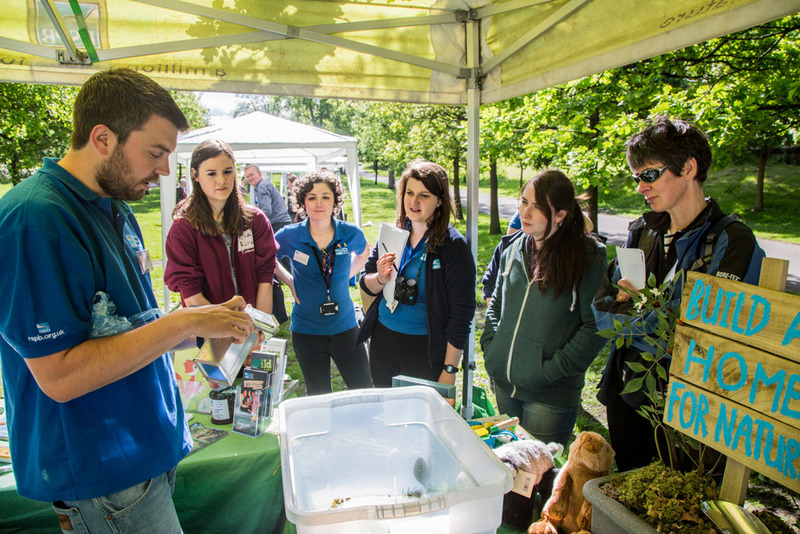 The Glasgow Wildlife Garden Festival is continuing this August as part of GO LIVE! at the Green. This innovative live experience brings together sport, fitness, health, arts, food and drink as never before in an engaging and exciting way to encourage people to lead healthy and active lives. The event is taking place from 2-12 August on Glasgow Green, and RSPB Scotland will be there every day showcasing Glasgow’s beautiful green spaces. We’ll also be running plenty of free workshops, talks and fun activities to keep the kids entertained. This year’s festival guest of honour is nature itself and we’ll be exploring the present and future of greenery in Glasgow. If you have some great gardening tips, interesting bird spots or you simply want to get learn more about urban wildlife, come down and chat to us. For the kids, we’re holding events suitable for bird detectives, bug hunters and champion worm charmers! For the younger toddlers, we’ll also have stories, crafts and plenty of catchy songs to keep them humming all day. We’ll also be remembering the original Garden Festival, which was held 30 years ago this summer. For those who don’t remember, the original festival was an open-air celebration of Glasgow’s culture, which ended up bringing 4.3 million people to the city, including Prince Charles and Princess Diana. Our fellow collaborators, Glasgow City Council Land Environmental Services, and Springburn Winter Gardens Trust, are also holding lots of exciting events as part of Go Live!, so you’re sure to find something that peaks your interest.